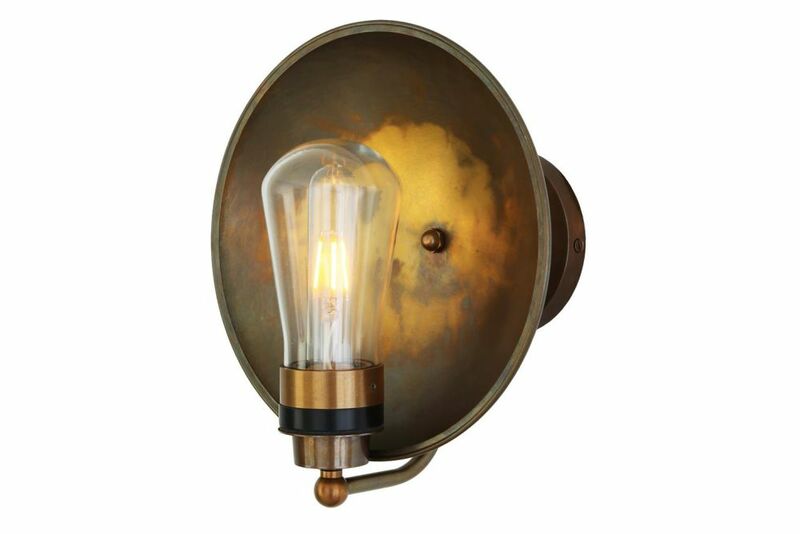 The Galit Wall Light is an industrial dish wall light that can be installed safely in most bathroom locations. It would suit the interior of an industrial-style pub or restaurant as well. The Galit features a distinctive brass dish shade which helps reflect light in interesting ways around its installed environment. Originating from the wall bracket and behind the brass dish is a curved arm that holds a moisture resistant glass shade and bulb in front of the brass dish in a fixed and upright position. The glass shade is teardrop-shaped and houses an LED tube light safely inside its moisture-resistant enclosure.